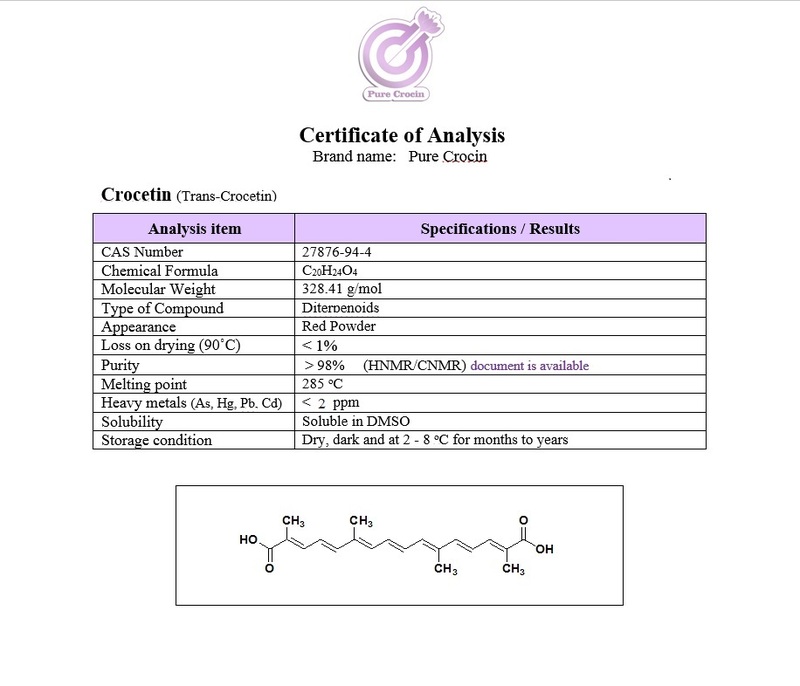 Crocetin is a natural apocarotenoid dicarboxylic acid that is found in the Crocus Sativus (scientific name of Saffron) flower and Gardenia Jasminoides (fruits). It forms brick red crystals with a melting point of 285 °C. The chemical structure of Crocetin forms the central core of Crocin, the compound responsible for the color of Saffron. Crocetin has anti-convulsive properties. It is also believed to stimulate oxygen diffusivity during shock and reperfusion. Crocetin has anti-inflammatory properties, thus decreasing the risks of arthritis. It also has antioxidant properties, which could be responsible for inhibition of tumor formation. Crocetin affects the growth of cancer cells by inhibiting nucleic acid synthesis, enhancing anti-oxidative system, inducing apoptosis and hindering growth factor signaling pathways.